Are there foods that you should avoid if you’re in pain? What Foods Actually CREATE inflammation? Sugar: This substance is a major cause of systemic inflammation. The body as a whole imperceptibly swells whenever it’s subjected to processed sugar. It will increase your sensitivity to headaches, pain and impaired immunity. Wheat products: This includes flour, breads, crackers, etc. Most wheat products today contain hybridized “glutens”, which contribute to pain, inflammation, Leaky Gut Syndrome and auto-immune dysfunction. What Would Be the Ideal Diet if I’m in Pain? Real food decreases inflammation. Real food usually has one ingredient: an apple is … an apple; a carrot is … a carrot. Look at the ingredient list of a food you’re about to eat: the more ingredients, the less health benefits! Food products are things that have been manufactured… avoid them at all costs. 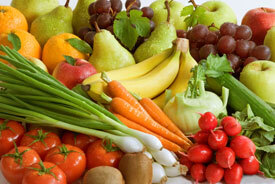 Guard your health and reduce your pain levels by eating the right foods and avoid the wrong ones! If you need some help with developing your own personal dietary plan, let us know. We’re here to help!